Hello! 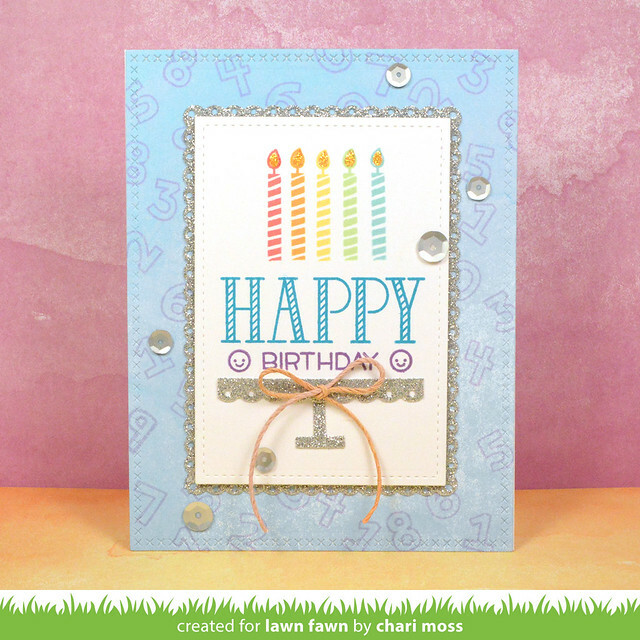 It's the last day of Lawn Fawn Inspiration week and today's featured set is the Plan On It: Birthday set along with the zig zag stackables, which I absolutely love. I'm not a planner person but the planner sets are still super cute and can be used on projects other than planners. I paired images from the Plan On It: Birthday set with a sentiment from Happy happy happy to create a fun birthday card. I used the sentiment along with the large candle in this set to build a "cake" shape. I cut some glitter paper to create a scalloped cake stand for it to sit on and embellished it with some twine and stickles on the candle flames. 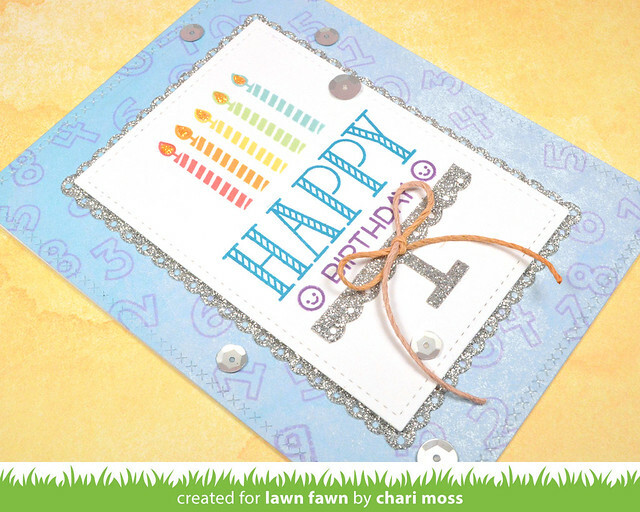 I also used the number in the Plan On It: Birthday set to create the background for my card. I cut some watercolor wishes paper with the Cross stitched rectangle then stamped the numbers around with some fresh lavender ink. I matted my top panel on a glitter scalloped rectangle to tie in with the cake stand. I really love the zig zag stackables, especially the rectangles. I have really found myself reaching for them often to pair with my stitched rectangles. For this card I kept it very simple, white on white one white. 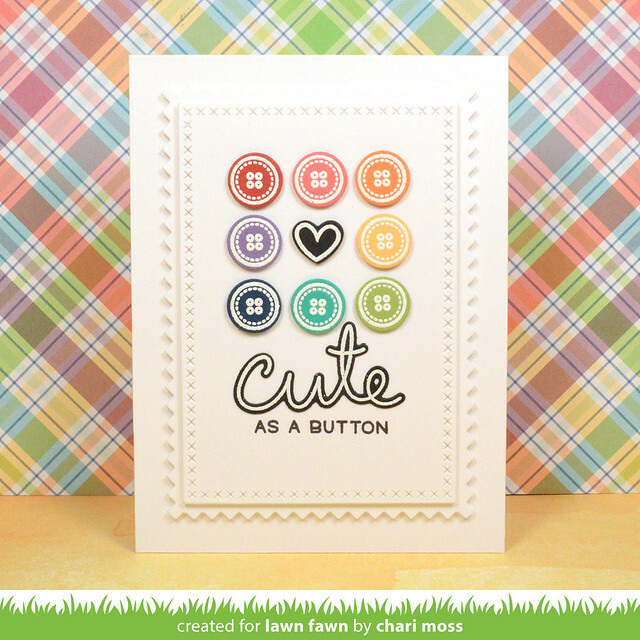 :) I white embossed the button from Sewn With Love on various colors of cardstock and arranged them on my card with a heart in the center. I did the same for the "cute" part of my sentiment and I really think it pops off the white card base. I just love all the white layers, its subtle but still has interest and dimension. 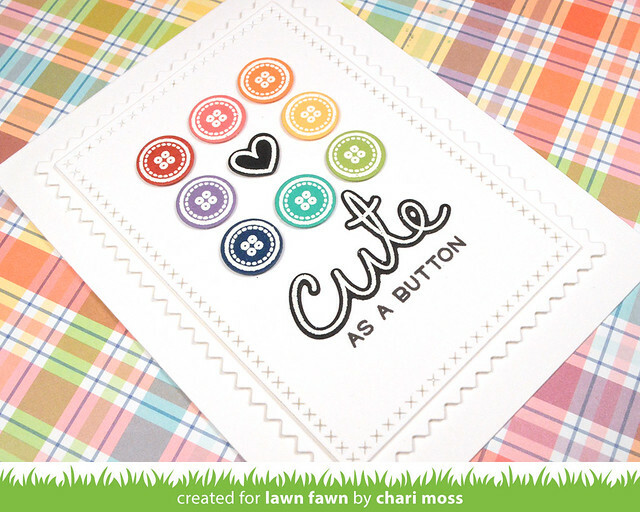 Be sure to check out the Lawn Fawn blog for more projects! Great cards! I always love to see your designs, even if I don't always leave a comment. You have a wonderful, clean style with amazing details. Thank you for sharing! !